06/09/2016 – The House Appropriations Committee overwhelmingly approved an amendment on June 9 to restore the USPS service standards that were in place on July 1, 2012. The amendment, which was offered by Rep. Marcy Kaptur (D-OH), was adopted in a voice vote, with strong support from both Democrats and Republicans. After all the amendments were considered, the committee approved the Financial Services Appropriations bill in a vote of 30-17. 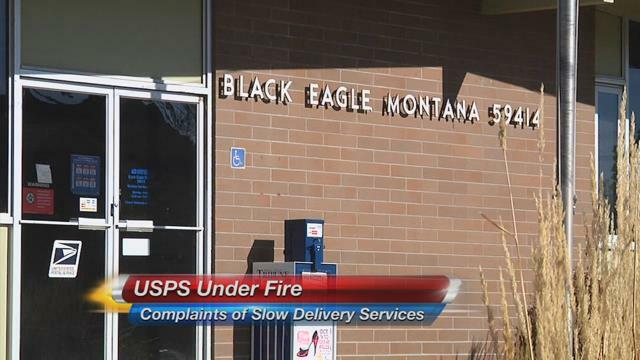 If you’ve ever thought that postal delivery service in Montana was slow, you’re not alone. Last week Montana State Senator Jon Tester said that he consistently hears complaints from residents throughout the state that they experience serious delays in mail and the Government Accountability Office recently released a report that found the US Postal Service has been reporting incomplete data about it’s mail efficiency and timing of delivery services. The Coalition for a 21st Century Postal Service (C21), a group representing major players in the mailing industry, yesterday sent the following letter to the Senate Appropriations Committee, asking it to reject the amendement recently approved by its House counterpart, which would require the USPS to restore service standards to 2012 levels. On June 17, the House Committee on Appropriations approved an amendment by Representative Chaka Fattah which would require the USPS to revert service standards for First Class Mail and Periodical Mail that were effective on July 1, 2012. That same amendment is being sought in your Committee. The Coalition for a 21st Century Postal Service (C21) opposes this amendment, and urges that it not be included in the Senate Appropriations legislation. C21 broadly represents the entire $1,3 trillion industry, mailers and their suppliers, employing 7.8 million private sector workers, which relies upon USPS. A list of our members is attached. This well-intended amendment is crafted to ensure that overnight delivery service is restored around the country, and particularly in rural areas. C21 supports that thrust; many of its members, rural and otherwise, have suffered negative effects from the downgrading of service over the past three years. Nonetheless, the amendment would create operational and financial impacts that would greatly outweigh whatever benefit it might confer. We believe a better avenue to address the service problems is through consideration in the authorizing committees. 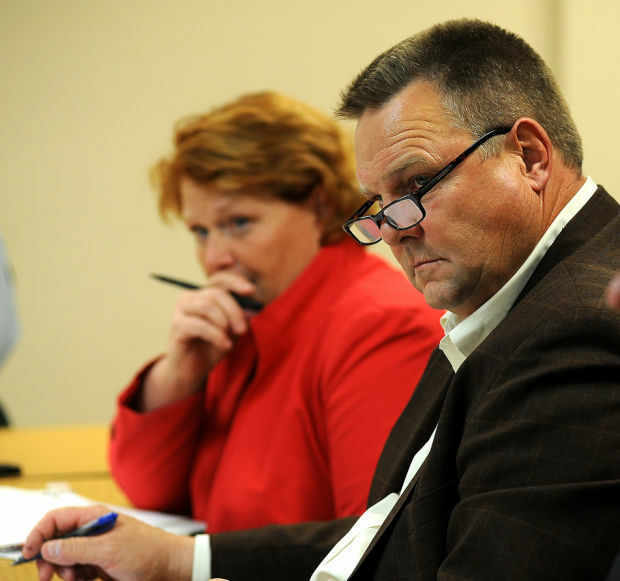 In fact, the issue is well-addressed in legislation introduced by Sen. Heitkamp and other Members, and pending before the Committee on Homeland Security and Governmental Affairs. In order to restore July 1, 2012 service, the Postal Service would have no choice but to reopen a large number of facilities it has closed and/or sold in the past three years, reverse reconfigured transportation routes, and rehire, or extend the hours of existing, employees. The Congressional Budget Office concluded in a letter to Senator Tom Carper dated July 13 that the amendment would cost the Postal Service in excess of one billion dollars in the first year. (Postal Service estimates are closer to $2 billion in the first year, and $1.5 billion in each of the succeeding four.) CBO further concluded that because of its precarious fiscal condition, USPS would not be able to devote more than $300 million to the effort in that first year. Further, CBO assumes that since the effect of the Fattah amendment would be for only one year, that the Postal Service would resume its service reduction plan in 2017. In light of this likely financial impact, the proposed amendment will hardly ensure that rural service would actually improve. USPS is already failing to meet the more relaxed standard. As a result, C21 is concerned that USPS would be unable to comply and simply fail to adhere to the old standards, despite a congressional mandate. The analysis by CBO confirms this possibility. But the effects of rolling back service would not just be felt by the Postal Service. All of the companies up and down the mailing supply chain have worked and invested substantially in software, transportation and more to adhere to delivery changes caused by the Postal Service’s revised service standards and plant closings. The $2 billion in the first year is a USPS-only figure. The total impact, multiplied over the entire industry would be several orders of magnitude higher. To now roll back these standards would cause another debilitating wave of expense and effort. While, again, we share the concerns of Members who believe rural service in particular should be improved, we believe the appropriate way to address these concerns is through the process currently underway in the authorizing committees to address specifically this important issue in an independent bill, or as part of urgent, more general postal legislation. In sum, the cost of this amendment would not only substantially further erode the already very difficult financial condition of the Postal Service, we believe pursuing this amendment very well could be counterproductive to the process underway to pass legislation that would stabilize the Postal Service financially, and make some other needed and meaningful changes to the postal statutory regime. Thank you for considering our views. C21’s corporate and trade association members include paper manufacturers, printers, technology suppliers, advertisers, catalogers, magazines, newspapers, greeting card publishers, financial houses and other major transactional mailers, prescription and e-commerce sales fulfillment, parcel shippers, mail service providers, and more. WASHINGTON, D.C. – U.S. Senator Heidi Heitkamp today introduced legislation to improve rural mail service and delivery, increase protections for rural post offices, and make sure postal employees are treated fairly in North Dakota and across the country. Building on what she has heard from individuals from across North Dakota, including through her Fix My Mail initiative, Heitkamp – a member of the Senate committee overseeing the Postal Service – introduced legislation to specifically address the postal concerns and challenges in rural America. Since launching her grassroots Fix My Mail initiative in January 2014, Heitkamp has received stories from more than 200 North Dakotans about issues they have encountered with delayed mail delivery and poor service from the U.S. Postal Service, and she has led efforts to make sure the Postal Service better works for all rural communities. Earlier this year, she brought together the first bipartisan meeting of Senators from rural states to speak with the U.S. Postmaster General. A vocal advocate for rural America, Heitkamp’s bill would make sure rural states and communities are no longer disproportionately impacted by cuts to mail service. Over the past few years, communities in rural America, including North Dakota, have faced excessive closures of post offices and mail processing facilities, which is increasing delivery times, reducing service standards, and hurting the Postal Service workforce. In the Dakotas, only about 65 percent of non-local mail arrived on time within three to five days last quarter, which is about 30 percent below the Postal Service’s own annual goal. And from 2001 to 2013, nearly 400 post offices closed across the country, hurting mail service, particularly in rural communities. Improving Mail Service Standards – The bill would make sure mail reaches its destination faster by restoring stronger service standards, and place a two-year moratorium on the closure of additional mail processing plants. Meeting the Needs of Rural Postal Customers – The bill would preserve six-day mail delivery, instead of being added annually in appropriations legislation as it has in recent years. Protecting Rural Post Offices – The bill would protect rural post offices from closures, require specific procedures for reducing operating hours at rural post offices, and enable communities to formally petition the Postal Service to reverse closures or reductions in hours. Improve Postal Employee Morale – The bill would establish a Chief Morale Officer within the Postal Service to oversee working conditions, staffing, communication, and training efforts. Joining Heitkamp in introducing her Rural Postal Act were Senators Jon Tester (D-MT), Claire McCaskill (D-MO), and Gary Peters (D-MI). For a one-page summary of the bill, click here. For reactions on the bill from the postal community, click here. Standing up for Rural Postal Customers – After sharing stories she received through her Fix My Mail initiative with the Postal Service, Heitkamp successfully received commitments from the agency to improve mail service and delivery throughout North Dakota, including keeping more hours of operation at nearly 30 rural post offices in the state. Last Congress, Heitkamp also successfully gained bipartisan support for two amendments to postal reform legislation to protect rural service, improve oversight of service changes in the Postal Service and develop a strategy to better support postal employees in rural America. Pushing for Accountability and Transparency from the Postal Service – Last March, as part of her Fix My Mail initiative, Heitkamp requested a Postal Service Office of Inspector General review of postal standards and employee issues in North Dakota. The report found that for the past several years, the Postal Service failed to process and deliver mail in a timely fashion, lacked retail windows to meet demand, did not have a plan to address rapid population growth, overworked employees, and rarely met national service standards in the state. Leading Efforts to Protect the Postal Needs of Rural Communities – In May, Heitkamp brought together the first bipartisan meeting of solely rural-state Senators to meet with U.S. Postmaster General Megan Brennan about the impacts of mail processing facility closures and service standard reductions, and secured a commitment from the Postal Service to work better to meet the needs of rural America. Later that month, Heitkamp co-hosted a Senate roundtable discussion on rural postal issues, calling on leaders in the postal community to work with her to protect delivery and service in rural America. 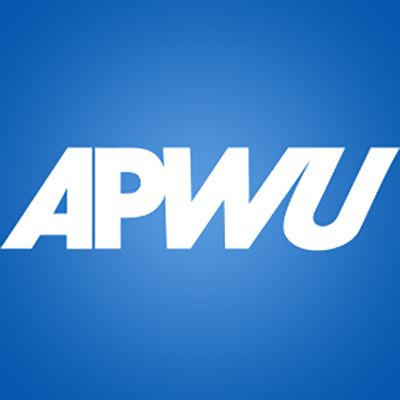 06/29/2015 – The APWU has taken the Postal Regulatory Commission to court, challenging the commission’s decision to dismiss its complaint that the Postal Service is failing to meet service standards. The union filed the Petition for Review on May 29 in the District of Columbia Circuit Court of Appeals and submitted a Statement of Issues to be Raised on June 18. 06/23/2015 – The Postal Service has signaled it will try to derail a measure approved by the House Appropriations Committee on June 17 to restore postal service standards to the levels that were in place on July 1, 2012. The committee’s vote would rescind the lower service standards the USPS implemented on Jan. 5 – which have wreaked havoc on mail delivery. APWU President Mark Dimondstein praised the committee’s vote, calling the amendment “a vivid example of how the demands of postal workers reflect the people’s demand for good postal service.” If enacted, the measure would require postal management to restore overnight mail delivery within cities and towns and the 2- and 3-day delivery standards that were wiped out in January. It also would make additional plant consolidations less feasible. In addition to “immediate implementation costs,” the USPS claimed “foregoing the benefits” of its “current operating model” would cost the agency $1.5 billion annually. Dimondstein said the claim was preposterous. “The Postal Service should, at the very least, be honest with the American people and with Congress,” he said. The APWU has vigorously opposed the degradation of service standards, calling it a step toward dismantling and privatizing the nation’s mail system. The vote on the amendment, which was offered by Rep. Chaka Fattah (D-PA), was 26-23. Six Republicans joined all of the committee’s Democrats to vote in favor of the measure. (U.S. Senate) – As the U.S. Postal Service continues to face a budgetary shortfall, Senators Jon Tester (D-Mont.) and Heidi Heitkamp (D-N.D.) want better postal data so policymakers can make informed decisions on how to improve service in rural America.